Communication is the key for nursing homes near me. 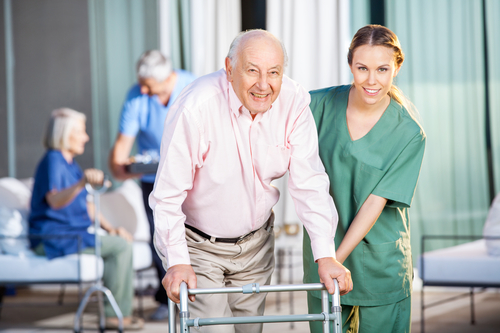 Effective communication between the patient, the family of a patient, and the staff of a nursing home is an absolutely crucial piece of the success of a long-term stay in a nursing home. A move into a long-term care facility is a time of change in the family dynamics, with lots of confusing and conflicting feelings. When we are able to minimize communication problems between family, patient and staff, it results in high levels of patient and family satisfaction. Finding a nursing home close to family and friends is usually a big factor in the ease of communication. When family is nearby, the nursing home resident is much more likely to have the support and social connections that make for a successful stay in a facility. The decision-making power of long-term care patients and their families has increased over the years. Informed consents are more frequently required for treatments and overall care of patients. In order to provide the highest quality care to our patients, care that is responsive to a patient’s particular values, needs and preferences, good, open communication is our highest priority. Families who are searching for “nursing homes near me” are interested in maintaining close ties with their loved ones, which has been shown to result in the best care and outcomes for patients in skilled nursing care.